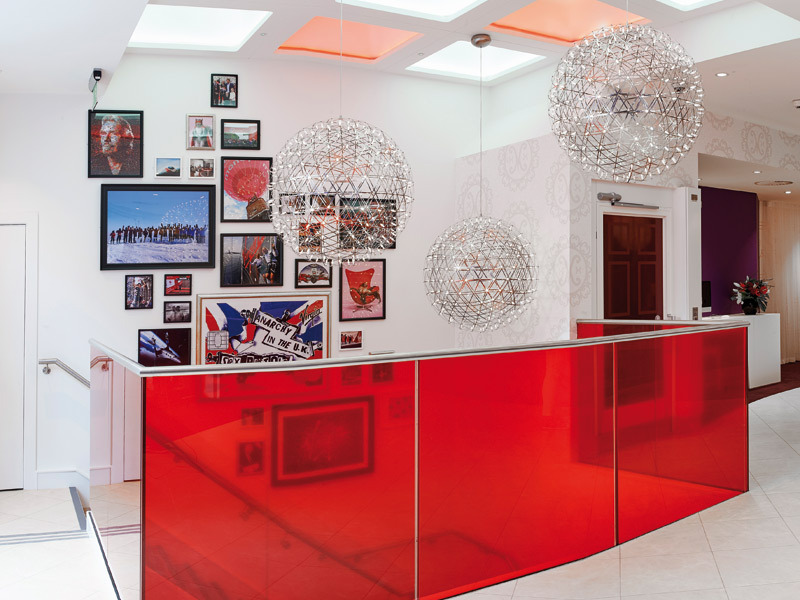 Virgin Money Lounges are designed to be interesting, stimulating and comfortable places where customers and local communities can come together. It's a reinvented approach to high-street banking, so much so that banking appears as an almost forgotten aspect of the spaces. Customers are able to come in, put up their feet, enjoy the facilities and use the lounge for an informal meeting if they wish with no pressure to bank or buy a service. This unique approach sees the sixth UK Virgin Money Lounge open at Haymarket, London, last summer, as designed by Allen International. It has been the in-store design partner for Virgin Money since 2010 after being awarded the position from a competitive pitch process. Since then, Allen International has been working closely with senior management at Virgin Money to deliver an innovative retail experience across its stores, partnering with architecture practice Spacelab on several projects, including the Haymarket Lounge. Visitors arrive at the entrance level to access the 'lounge', which features a TV and a large interactive touch-screen display. 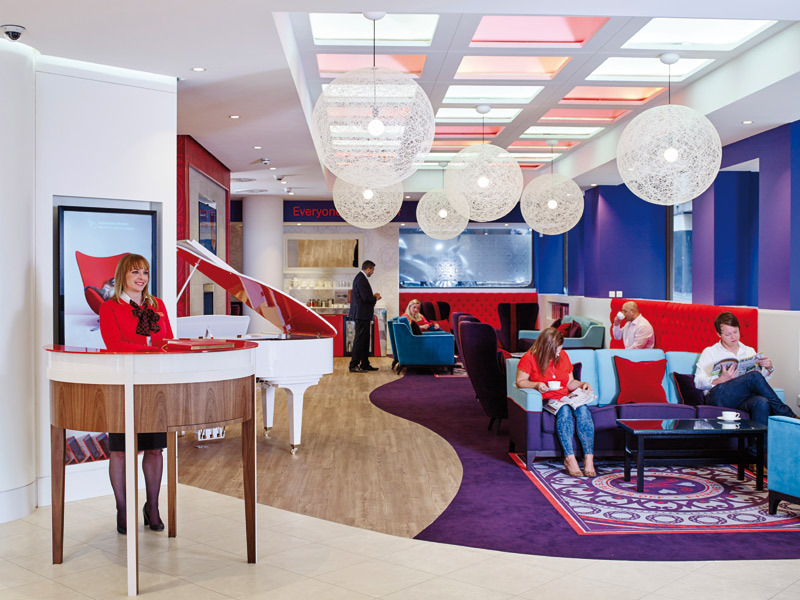 (Access to Lounges is available for all Virgin Money customers and membership is free.) So, while dropping in for a coffee, customers may decide to withdraw cash or make a deposit, as full banking facilities are also on the same level. On the lower ground floor Virgin's aviation background is the main theme to the space, designed as it is in the style of the interior of an airliner. 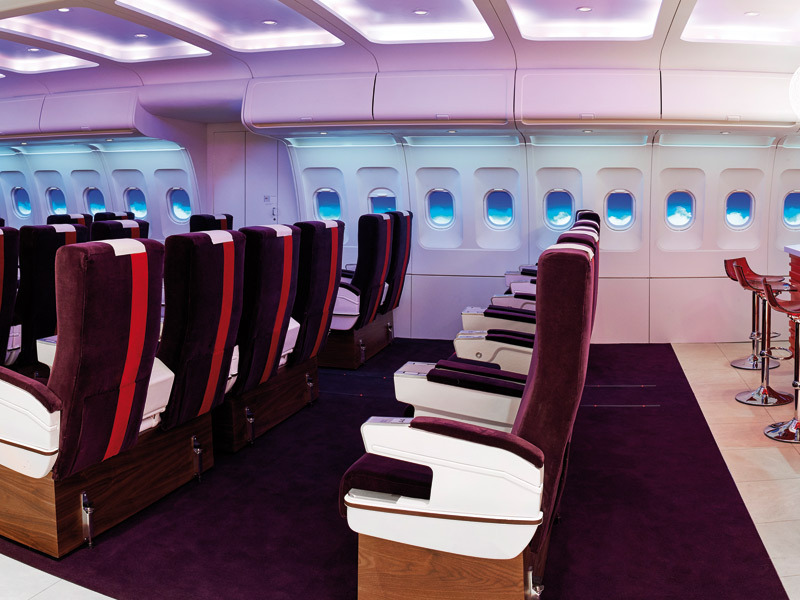 It's the only truly noticeable Virgin-branded area, with its featured real airliner seats, overhead lockers and floor lighting to guide the way. The seats can be arranged cinema style to face a big screen, or easily swivelled to face each other for informal meetings. The aircraft-themed space extends to a children's playroom, equipped with a range of games. Allen International says the unusual design has been very well received by both staff and customers: 'The overall variety and subtle change in ambience provided throughout the space [works well], from its intimate yet accessible lounge and banking spaces on the first floor to the unique and unexpected aeroplane cinema and meeting areas in the lower basement floor.